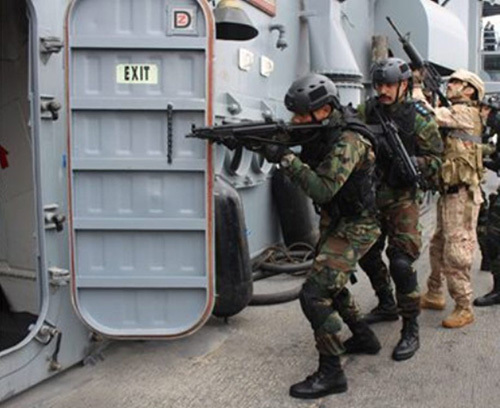 Units from the Egyptian and Kuwaiti armed forces continue their training by conducting naval exercises as part of Al-Sabah-1/Al-Yarmuk-4 joint drills, a statement by the Egyptian military spokesperson Tamer El-Refai said. The exercises include safeguarding naval vessels carrying important cargo, conducting vessel searches, rescue operations, daytime and night-time sailing, and refueling at sea. According to the statement issued by the Egyptian army, the “Sabah-1” naval drill includes theoretical and practical lectures on coordinating operations while the “Yarmouk-4” drill includes a number of exercises in defense and attack.